Getting Married On Sept. 11? Rich Rowland Jr. and Kim Terhune wanted to get married in September and settled on the second Saturday of the month: Sept. 11. The date may have given other couples pause, but Rowland, 27, and Terhune, 26, of Greenville, N.C., decided to "try and make it a happier day." Not everyone approved of their decision. "May all bad luck be bestowed upon you for this," someone who knew them wrote anonymously in the couple's online wedding guestbook. "You are wrong in choosing the date you have chosen." In fact, Rowland and Terhune are in the minority: Many couples avoid the day. According to New York-based theknot.com, the largest wedding site on the Internet, 66 percent fewer couples have registered on the site for weddings on Sept. 11 than on the surrounding Saturdays. Also, this year's registrations reflect a 55 percent drop from the second Saturday of September in 2003, and a 65 percent drop from the second Saturday of September 2002. 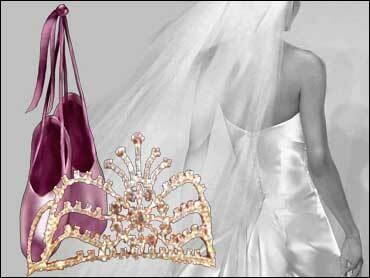 The empty datebooks of wedding planners in California, Missouri, Virginia and New York confirm those numbers. "No one wants to see that date in print on a card or on an invitation," said JoAnn Gregoli, owner of Elegant Occasions, a Manhattan wedding planning business. "It just brings back bad memories." With Sept. 11 falling on a Saturday this year for the first time since the terrorist attacks, couples nationwide have struggled to decide whether they, and their guests, are ready to celebrate on a date so firmly rooted in tragedy. Interviews with more than a dozen couples who've scheduled weddings for Sept. 11 reveal a range of reasons why. For some, it was the most convenient date. For others, it was a way to take advantage of steep discounts driven by a lack of business. A few, like Lynne Vellucci and James Buongiorno, are using their wedding date to make a statement about the terrorist attacks. "We're really excited about having a celebration of love on that day to help restore a sense of goodness to the world," said Vellucci. Vellucci, 35, and Buongiorno, 38, both of Brooklyn, didn't set out to marry on Sept. 11. But when they learned that day worked best for logistical reasons, they "realized it was something we wanted to do," Vellucci said. "It's a kind of renewal to focus on all the love and happiness in the world," she added. Vellucci worked at Deutsche Bank, across the street from the World Trade Center, when the buildings were struck. She watched the towers burn and she choked on the trade center's smoke. While planning the wedding, in a Brooklyn church with a reception on Long Island, Vellucci said some vendors, apparently uncomfortable with the idea of a 9/11 wedding, gave her sideways glances. The Rev. Charles Rush will perform a wedding at Christ Church in Summit, N.J., on the afternoon of Sept. 11 after attending a vigil marking the anniversary of the attacks in the morning. He said he believed the meaning of Sept. 11 was evolving. "There comes a point where this day has to transition out of grief and shock for the nation and into something more positive," Rush said. The couple he'll marry, Rachael Rafanello, 32, and Dean Wright, 36, said they chose Sept. 11 in part for economic reasons, reserving the Grand Summit Hotel for substantially less than it would have cost later in the month. A wedding reception for 135 guests, a five-course meal, a martini slide made out of ice, cocktail hour and a dessert buffet at the Tudor-style hotel normally costs around $32,000, said Rafanello. She got all that, plus a few extras, for about $23,000, because she booked for Sept. 11. Without the discount, she said, she would have had to scale back her wedding plans. "When in your lifetime can you get a deal like that?" asked Rafanello. There's also the matter of trying to pick a date that works with the schedules of family, caterers, out-of-town guests and sites. "My parish is in very high demand, and when we called, there weren't many dates available and that was one of them," said Jennifer Wade, 30, of Long Branch, N.J., who will wed David Baxter, 30, of West Long Branch, N.J., in St. Catherine's Church in Spring Lake, N.J.
With the date approaching, many couples said thoughts of September 11 have largely been trumped by the work of selecting menus, seating charts, flowers and the countless other details that go into planning a wedding. There's no avoiding the memory of 9/11, but couples like Terhune and Rowland hope their exchange of marriage vows will outshine it. "It's not like we're trying to be unpatriotic," Terhune said. "We were just like, 'Well, at least maybe we'll bring some happiness to someone's day."